The paper deals with zoning in terms of karst hazard. An approach to zoning on incomplete data is based on computational-probabilistic technique. Indicator of karst failures intensity is used as the basis for assessing karst hazard. The above-mentioned approach is used for zoning the territory intended for the nuclear power plant construction at the site of Monakovo in Nizhny Novgorod region. Due to the fact that no proper observations have been done at the site lately, the indicators of karst failures intensity have been calculated with incomplete data (obtained mainly in the last few years). The index distribution of karst failures intensity in the area under study has been mapped. The map helps to visualize the karst danger area. The analysis shows that the area intended for the nuclear power plant construction at the site of Monakovo in Nizhny Novgorod region features an extremely high rate of karst danger. Keywords: karst, karst failure, karst failures intensity, map, zoning. 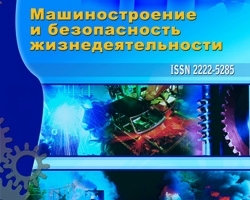 Recommendations for conducting the engineering studies, design, construction and operation of buildings and structures on karst areas of the Nizhny Novgorod region. – Nizhny Novgorod, 2012. – 139 p.
Manual of geotechnical investigations in karst areas. – Moscow: PNIIIS Russian Ministry of Construction, 1995. SP 11-105-97 «Engineering geological site investigations for construction». Part II «Work in the areas of hazardous geological and geotechnical processes». Tolmachev V.V. Engineering and building development of karst territories / V.V. Tolmachev, G.M. Troitsky, V.P. Homenko; Ed. E.A. Sorochan. – Moscow: Stroyizdat, 1986. – 176 p.
Chervjakov V.A. The concept in the field of cartography. – Novosibirsk: Nauka, 1978. – 149 p.
Microzoning Nizhny Novgorod NPP construction site Monakovo in terms of karst hazard based on insufficient data, №3 (17) 2013, Sharapov R.V.